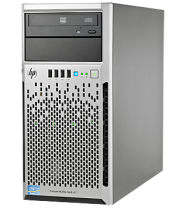 The HP ProLiant MicroServer Gen8 is a small, quiet, and stylishly designed server that is ideal as a first server solution for small businesses. With a form factor that is easy-to-use and service, it helps small businesses drive down their expenses while improving productivity, efficiency, and security. Pricing is correct at time of data entry, but subject to change without notice. Complete our customer feedback survey.